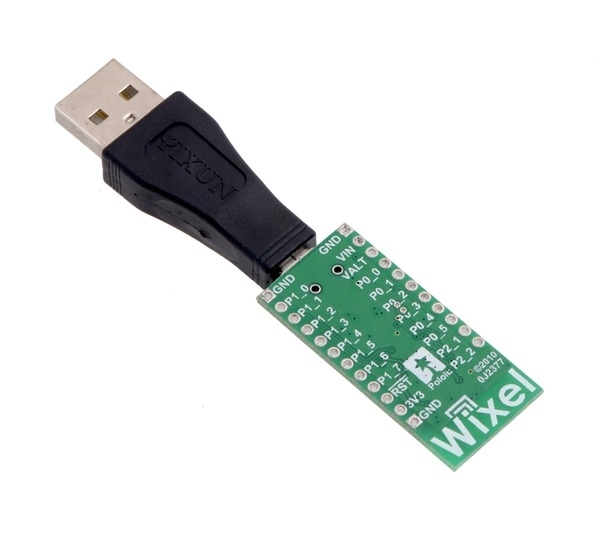 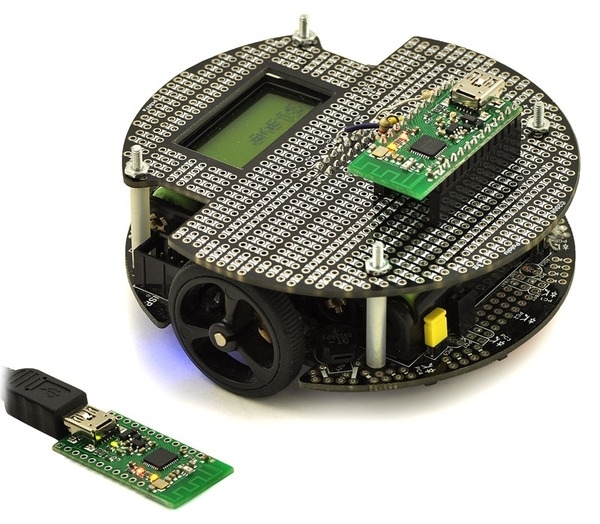 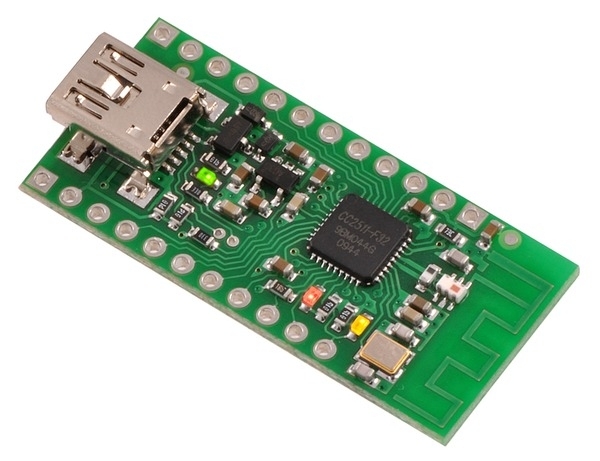 A single Wixel can be used as a computer-interface device, such as a USB-to-serial adapter, and it can even serve as the main controller for your system. 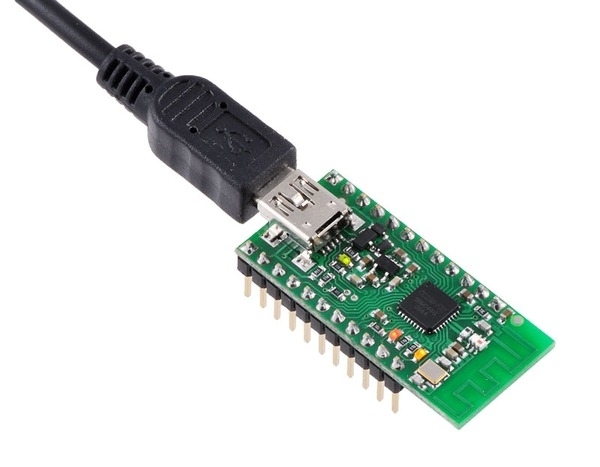 Connecting the Wixel to a computer requires a USB A to Mini-B cable or a USB A to Mini-B adapter (not included). 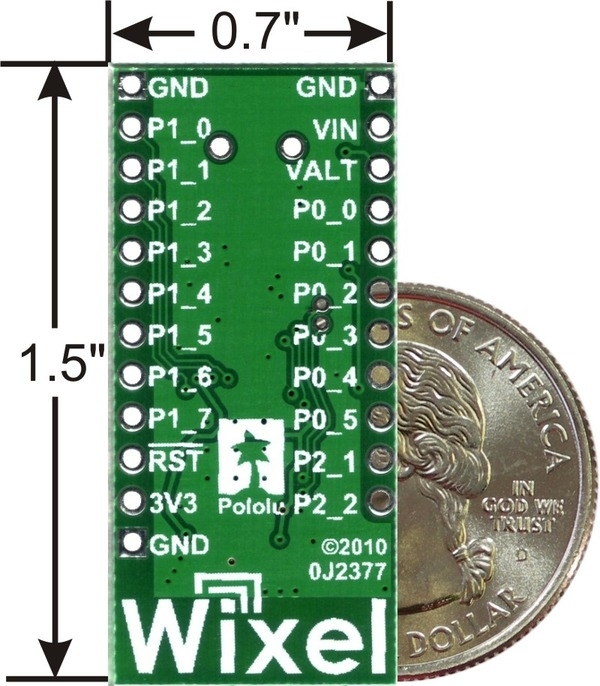 Two or more modules are required to take advantage of the Wixel’s wireless capabilities. 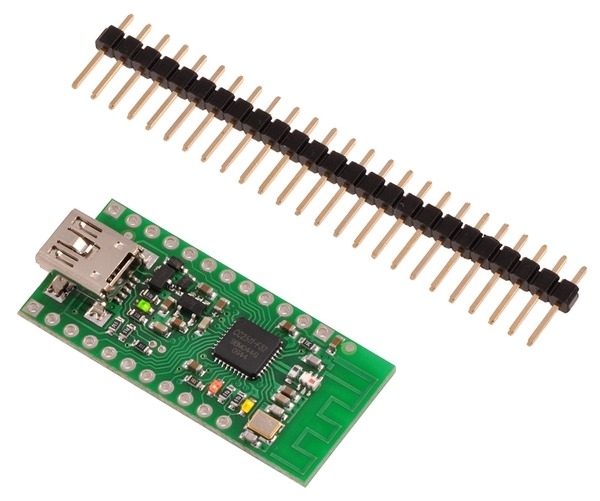 To help you get started with wireless communication, we offer a combination deal that includes two Wixels and a USB A to mini-B cable. 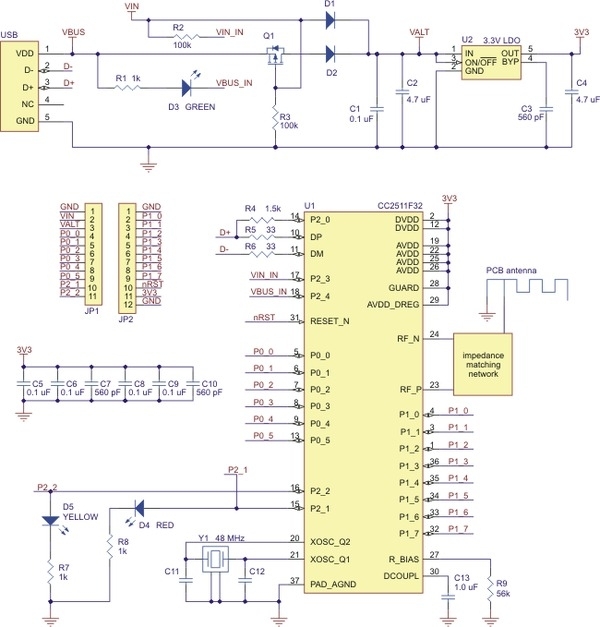 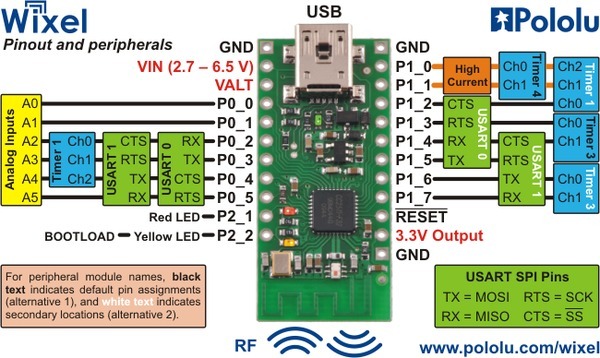 2.Can operate down to 2.0 V if power is applied directly to the 3V3 pin, but in this case USB can not be plugged in at the same time.